BELGRADE (Serbia), April 4 (SeeNews) – Serbia has made significant progress towards accession to the European Union (EU) and its prospects for joining the bloc have improved, the president of lender Komercijalna banka [BEL:KMBN] and chief economist in the country’s negotiating team for EU accession, said in an interview for US newspaper Politico. "The public debt was reduced, unemployment has fallen from 26% two years ago to the current 13%. Serbia has conducted the most extensive and the most important economic reforms in the last 20 years," Krulj said, as quoted in a statement by Komercijalna banka on Tuesday. In Serbia, there is a new political paradigm and a serious shift towards a very economically-focused government programme, Krulj commented. 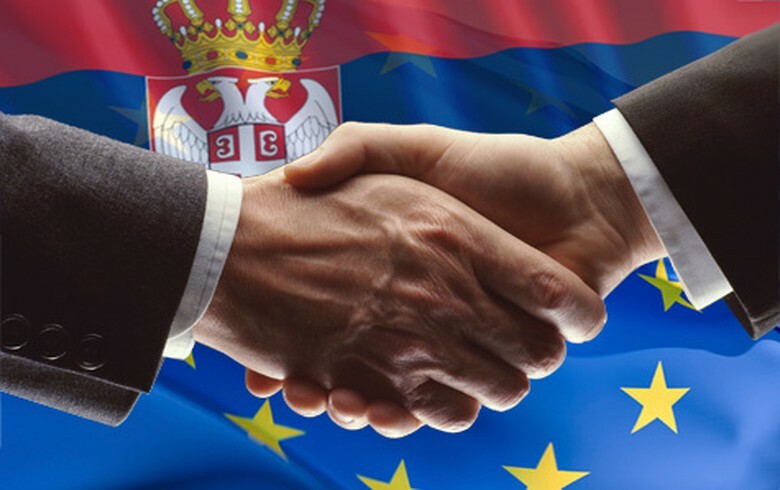 It is technically possible for Serbia to complete the EU accession negotiations by 2020, but few believe that the EU will be ready to accept a new member of seven million people at that stage, Politico noted. Concerns about the quality of democracy, the independence of institutions, and allegations that incumbent prime minister Aleksandar Vucic exerts strong control over the media, are regularly raised by international organisations and, more mildly, by the EU itself, the magazine pointed out. Serbia's central election commission said on Monday that based on the ballots cast in 92% of the polling stations, Vucic won 55.1% of the votes in the first round of the presidential election on Sunday. EU formally opened accession talks with Serbia in January 2014, but the Southeast European country opened the first two of the 35 chapters in its negotiations to join the bloc only in December 2015. In February, Vucic said the country has started talks on Chapter 26 - Education and Culture and Chapter 20 - Enterprise and Industrial Policy. Belgrade has so far started talks on eight out of the 35 chapters of EU law and has closed negotiations on two.